Like all other manufacturers, Honda will also have to go through the electrification phase for its vehicles, an essential way to reduce its emissions and therefore its ecological footprint to be relevant for the global auto market. Honda plans to electrify its entire range by 2025, including the iconic Civic Type R.
Honda officials do not hide the fact that the Civic Type R will not be cut it of this lineup. An evolution that seems logical considering the latest generation of NSX, is also hybrid. The next Civic Type R is expected by 2021 and will probably adopt a mechanical configuration similar to that of the NSX, but in a logically more modest definition – obviously not a V6 with 581hp. Therefore, it would still be a 2-liter that would be used and combined with an electric motor and a battery. 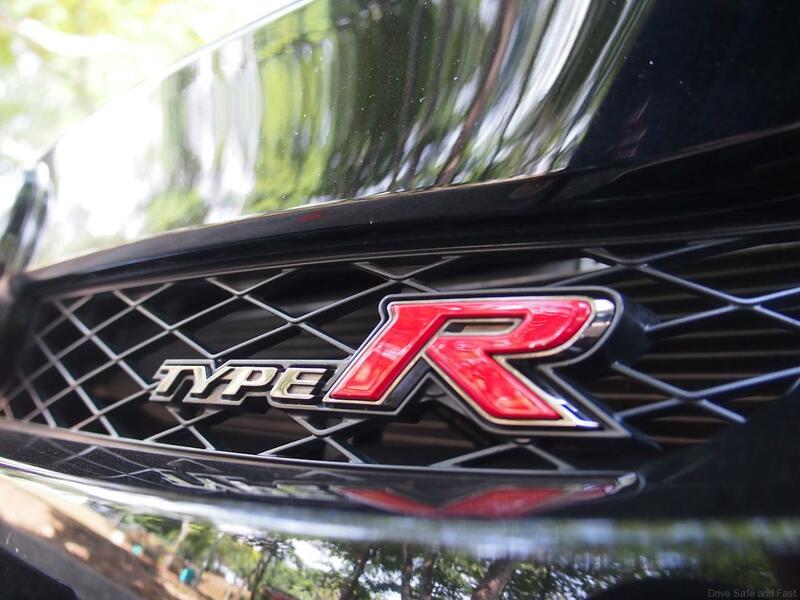 Here below we offer 10 reasons why WE want to save up to buy this Type R before we are to old to truly enjoy it on a daily basis. We may dislike the outlandish design, but take note…every line, curve, extension and lip has been added to give this Type R on the limit handling and ‘on the limit handling’ is what we seek in every car we own. The front bucket seats are simply the best in the business with their torso hugging ability whilst being able to provide really good rear end comfort for drivers over long drives. The slick, light and precise manual gearbox must be commended as it delivers the right balance in weight and ratios to deliver a surprising easy drive even in heavy traffic. Then when the road opens up, the 6 well spaced ratios rallies the turbocharged 2.0L engine to deliver its 310PS in a timely and elegant manner. The steering feel reminds that this Type R has been engineered to provide a driver pin point accurate heading. Yes, it is so mechanical in its feel that you will want to find corners to keep your hands active and allow your thumbs to feed into the corners of the steering wheel grip. The rear suspension was engineered to send your rear passengers home quickly and without feeling nauseas. Yes, Honda has delivered a front wheel drive hatch with rear handling that never falters unless you try really hard to shake its composure. The power delivery of the all new 2.0L turbocharged engine will shame some of the established European competitors. Actually…..it will shame ALL of them. This engine is responsive from a heartbeat and its frenzied momentum across the revolution range on acceleration is more than just impressive. The 400Nm of torque comes in early and never hesitates until your ‘whack’ the revolution limiter. Luggage space is more than enough and gets bigger with the rear seatbacks folded. There is space to send family members to the airport and also when you want to take a driving holiday for more than a week…which means…large suitcases will fit in nicely. The fit and finish in the cabin reminds us that Honda engineers never like to hear customers complain after years of driving this Type R ‘hard’. Yes, this cabin is so well put together that you we can easily see owners (hopefully me some day) having a squeak and rattle free drive even after the warranty has ended and after over a 100,000 kilometers of badly maintained roads in Klang Valley. The 20-inch wheels with slim wide tyres returns a pliant and comfortable ride even on our sub standard tarmac. 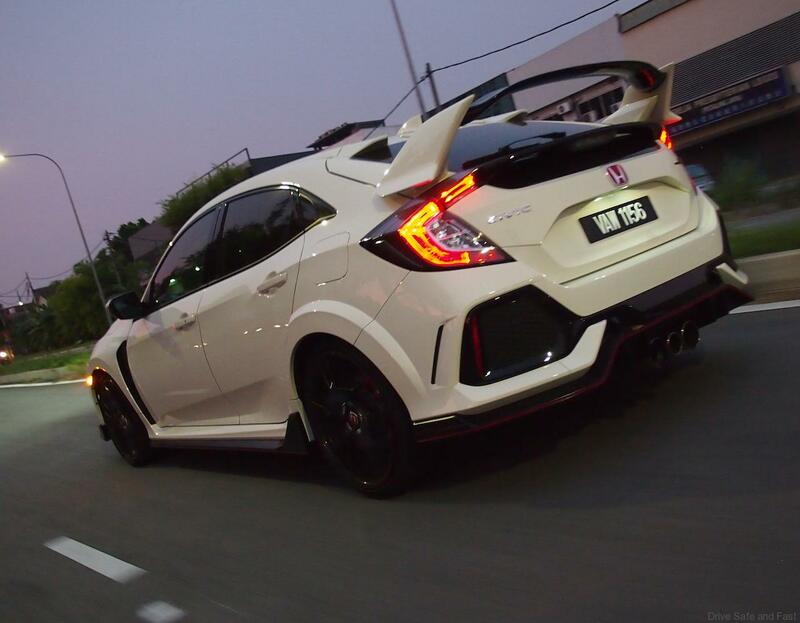 We tried a stretch of road along the older sections of Petaling Jaya and we did not feel any worse against the stock 1.8L Civic ride and feel. The suspension setting was spot-on and we are quite sure will be somewhat expensive to replace in years to come….but, it will be well worth every Ringgit. The fade free and firm brakes from the house of Brembo never left us in any doubt as we abused the Type R around corners, against ‘T’ junctions and when shaving speed in a hurry. They will be expensive to replace some day in the future but this again will be well worth the money. The post Honda Civic Type R Will Get Electric Heart appeared first on Drive Safe and Fast.